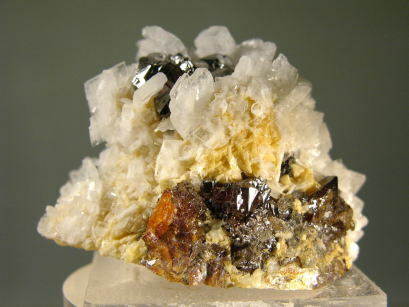 There are 34 minerals from Europe. 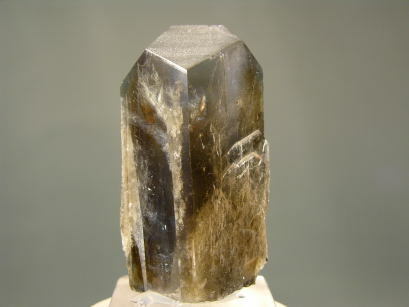 A lustrous, perfectly terminated single crystal of celestite with a bluish grey to color and a very gemmy termination. 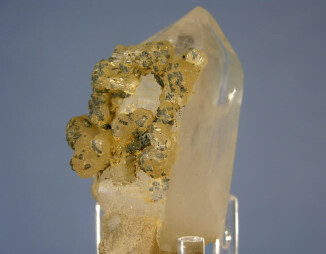 The sides of the crystal show some flattened additional crystals in parallel growth. Superb! 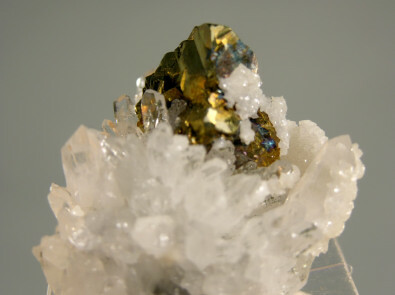 A very sharp, lustrous and brassy chalcopyrite crystal with some pretty irridescent hues sits on a matrix of clear quartz crystals, calcite and pyrite. Superb miniature! 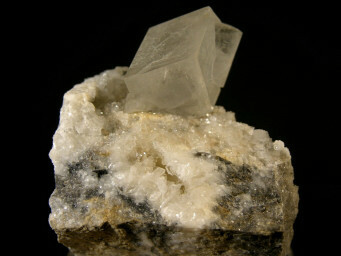 A textbook pair of gemmy dolomite rhombohedrons (largest is 3.7 cm across) ocurring as intergrown twins, on a dolomite and calcite matrix. Superb! 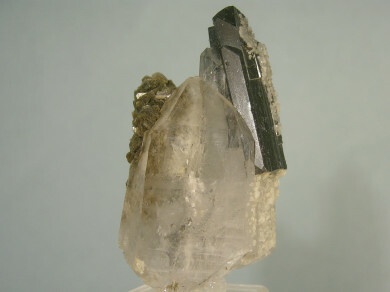 A doubly terminated ferberite crystal sits on one side of a pair of gemmy quartz crystals, both sprinkled with white to clear dolomites and with silvery mica poised on the opposite end. 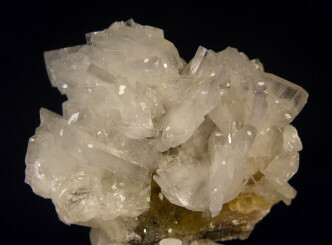 The rear shows additional ferberites. Very sharp small cab. 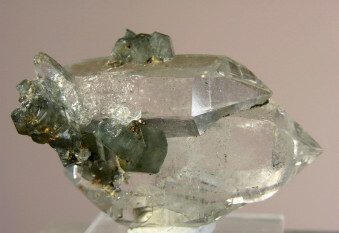 Medium green apatite crystals to 9 MM sit on very gemmy, doubly terminated quartz crystals. 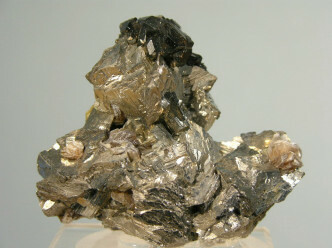 Choice miniature! 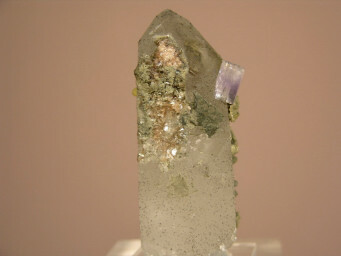 A medium purple, gemmy and lustrous fluorapatite crystal measuring 1 cm on a gemmy quartz crystal that is coated with micro chalcopyrites and siderite crystals. Sharp!